Team bonding is crucial in a team’s success, specifically in sports teams. According to The Team Building Directory, having strong connections with other members not only improves productivity and motivation, but also helps players be more comfortable with one another. 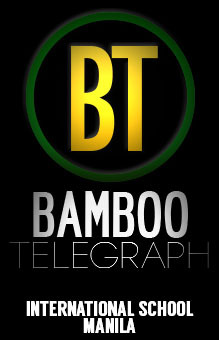 Bamboo Telegraph then decided to interview several first season athletes regarding their personal opinions and experiences with team bonding. Volleyball athlete Brian C. states that team bonding is a great way of getting to know each other, and being more comfortable around people from different batches. Bonding serves as a sort of “ice breaker” as it helps people “trust one another more in an actual game,” says Brian. Therefore, the players are more in-sync and have confidence that if they cannot get the ball, their teammate will. “Calling out for the ball and finding open spots is one of the keys to a successful game,” states Brian. It is especially important in sports such as volleyball as players have to remember that they are not alone on court, and have reliable teammates. This whole idea of strong and effective communication leads us to our next athlete who also has some thoughts to share about team building. Sophomore Cheska D. believes that spending time together as team is vital. She mentions that her football team bonds by “having lunch out after a game” and by constantly communicating with one another. “We talk to each other before, during, and after games,” says Cheska. This shows how significant communication is in both within and outside of sports. Furthermore, team bonding proves to be an enjoyable activity that certainly boosts the overall trust and compatibility of the entire team. Being more comfortable around one another, members are able to voice their thoughts and express how they feel about each other. Therefore, players can potentially improve themselves with the help of honest feedback from fellow teammates. In conclusion, team bonding plays a major role in a team’s progress and achievements. It guides players to experience a more open-minded environment where they can be themselves with the support of their teammates. It is important to remember to always try to build meaningful relationships with teammates as it is a great way to improve overall camaraderie and teamwork!